For some, curation grew out of necessity. 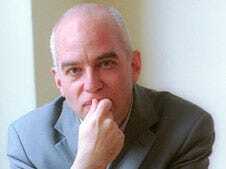 Michael Wolff is a world-renowned writer and contributing editor to publications like New York Magazine and Vanity Fair. But even as he wrote bigger and more controversial articles, he began to feel that the future of editorial wasn’t in making content as much as it was organising and filtering it. Wolff had been an Internet entrepreneur before, as the creator of Wolff New Media, the company whose remarkable rise and fall was chronicled in Wolff’s 1999 era book ‘Burn Rate’. But now he’s an aggregator, having created and launched Newser.com, a collection of news links and snippets. Wolff will find and filter, and write a bit, to build a new media enterprise. Newser searches tens of thousands of sources, according to Wolff, and then links and summarizes hundreds of links every day. The site just passed 1.6 million uniques with an accelerating monthly growth rate now over 10%. To the outside observer that would make him an aggregator. But it’s a title he rejects. Wolff’s brand of journalism is mostly about synopsis, robots and humans. So, if big quality media like The New York Times is doomed, then how can Wolff’s content gathering and filtering operation have any future? That’s easy, he says. Now, with the launch of Newser and Murdoch’s anti-aggregation campaign, they find themselves on opposite sides of a digital divide. For Wolff, Murdoch’s anti-search engine position is more than business, it’s personal. As the economics change, Wolff sees Murdoch’s world slipping away. So with Wolff and Murdoch no longer on speaking terms, what happens to Newser if Newscorp sends a cease-and-desist and foils Newser’s plans to aggregate the Post and the Journal? Can Rupert have power over aggregators? And if Wolff did have to take down Newscorp content? If both the Times and the Journal are old broken mechanisms, Wolff doesn’t see Newser, or Huffington, or Topix, or any of the other news aggregators as responsible, as much as just expressions of a changing technology. But for Murdoch, the tragedy and loss are almost Shakespearean. If technology is driving all this change, one might presume that Wolff sees the Apple iPad as good news for his magazine brethren, but not so fast. Wolff does see the iPad as having an impact on magazines and newspapers, but hearkening back to Steve Jobs’s somewhat contentious relationships with the music industry, or wireless phone networks, he predicts that the advantages will be all for Apple. And Wolff goes on to list the other imperiled institutions and devices. Of Google, the search giant that is currently at the top of the heap, Wolf says they should be looking over their shoulder. So, if you were keeping score according to Michael Wolff, you’d short stocks for The New York Times, Newscorp, and maybe even Google. So, what’s he betting on?